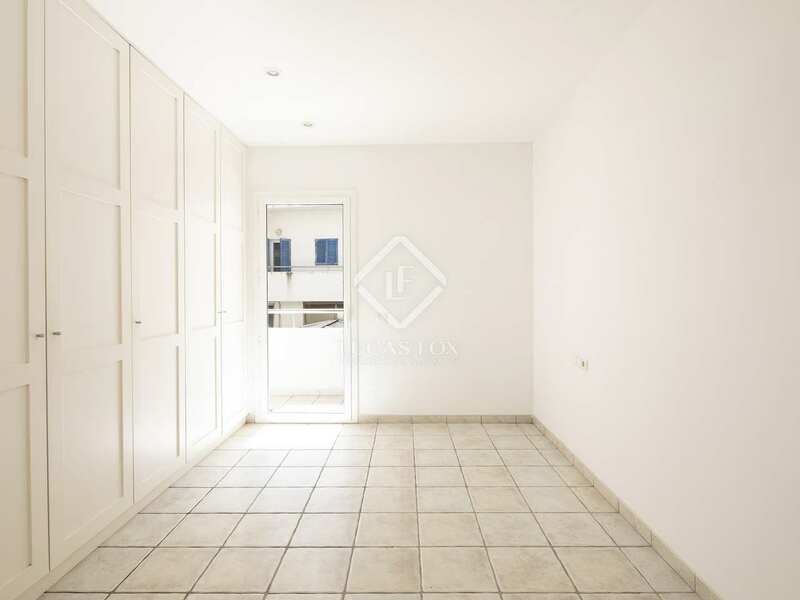 Great 2-bedroom 2-bathroom apartment for sale just a few metres from the beach in one of the most beautiful, historic streets of Sitges, with a protected façade. 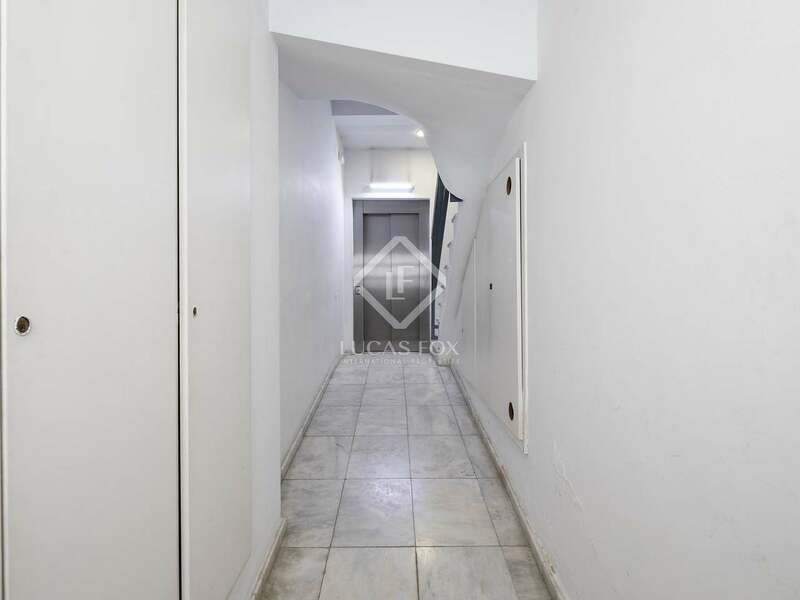 Only 3 apartments in the building. 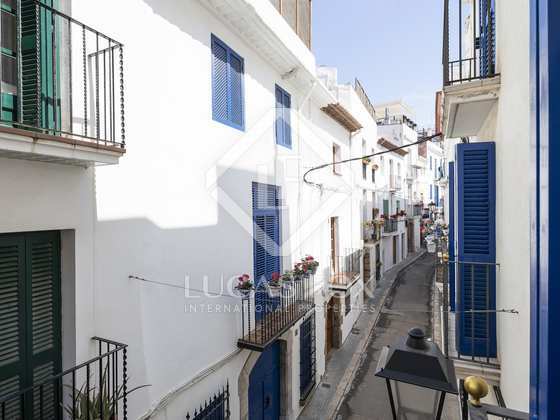 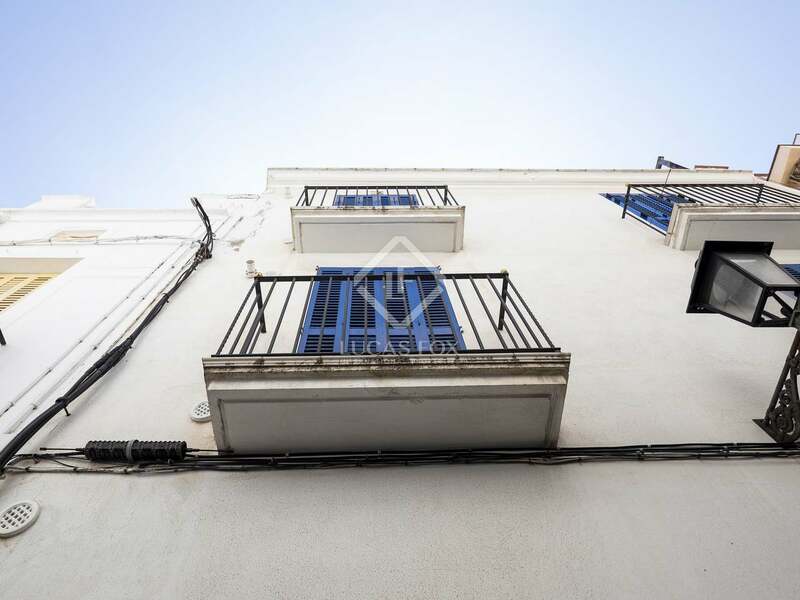 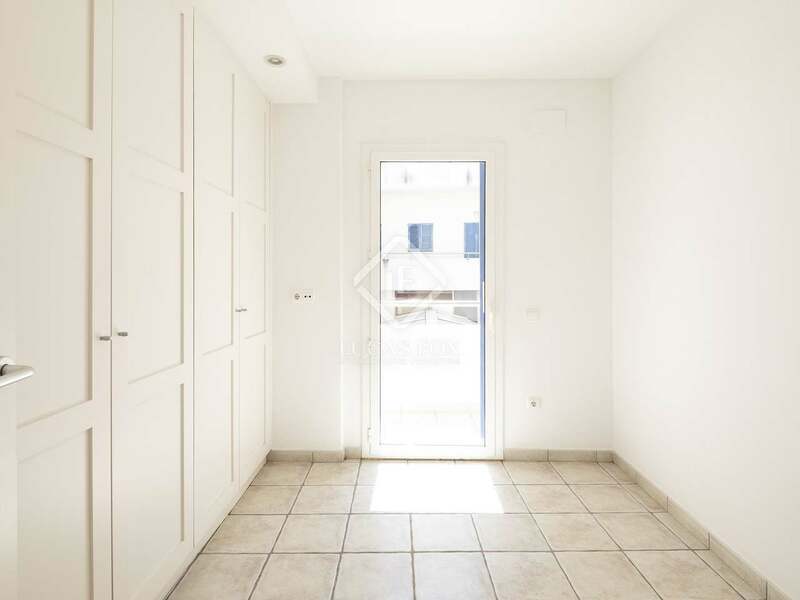 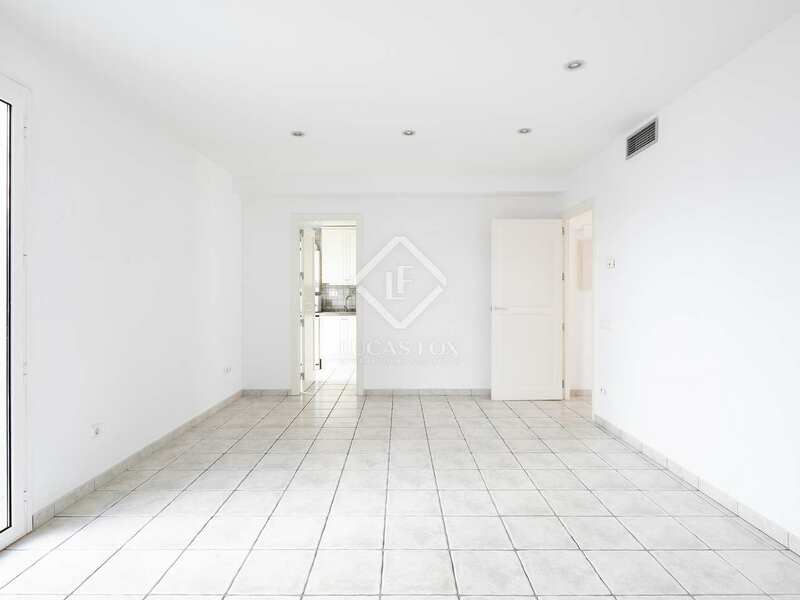 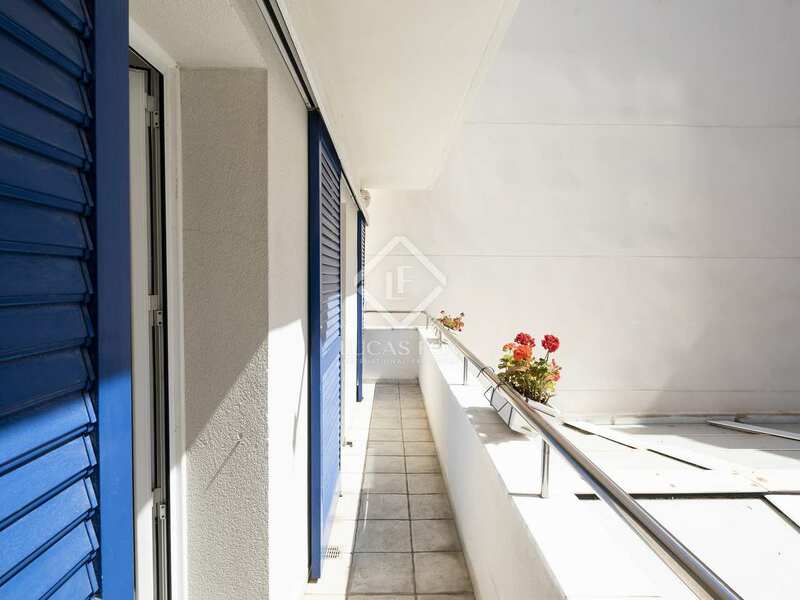 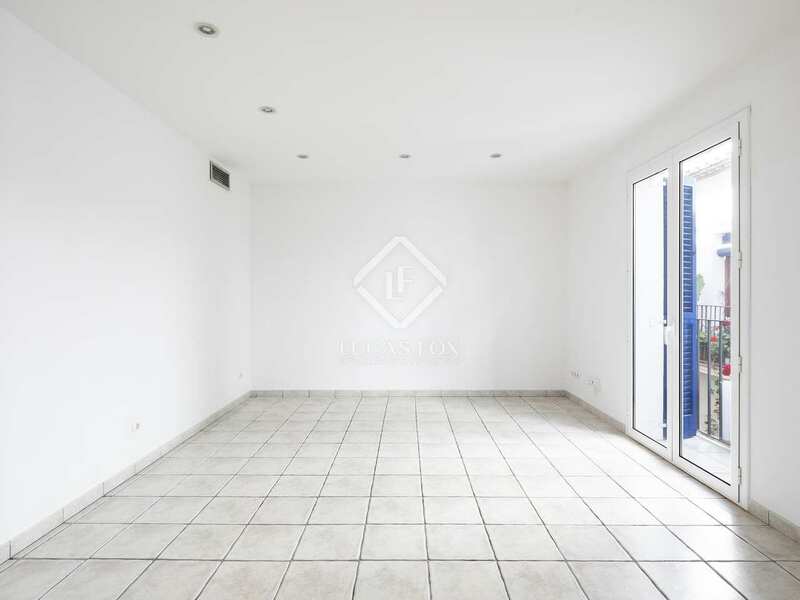 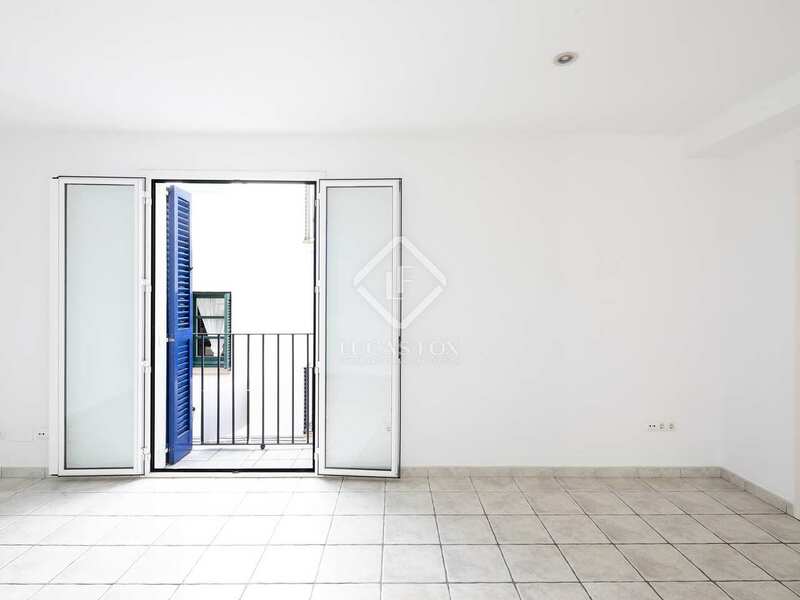 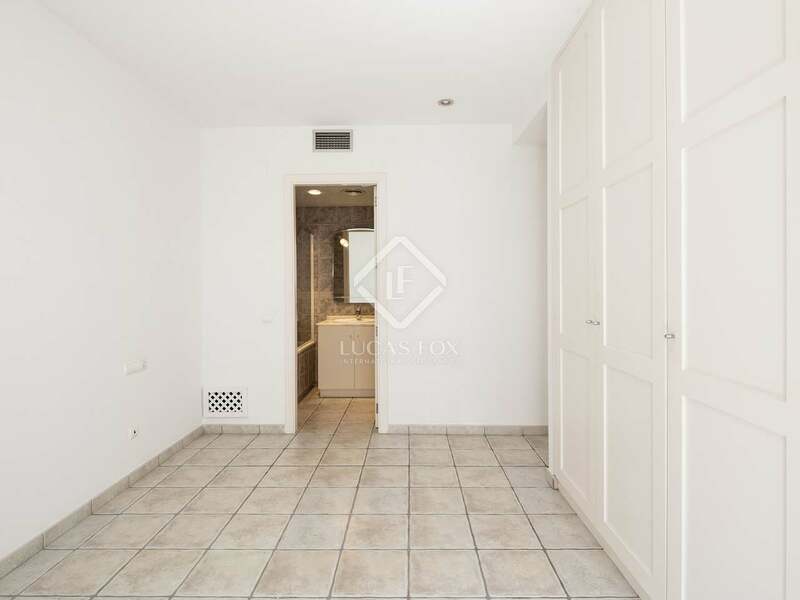 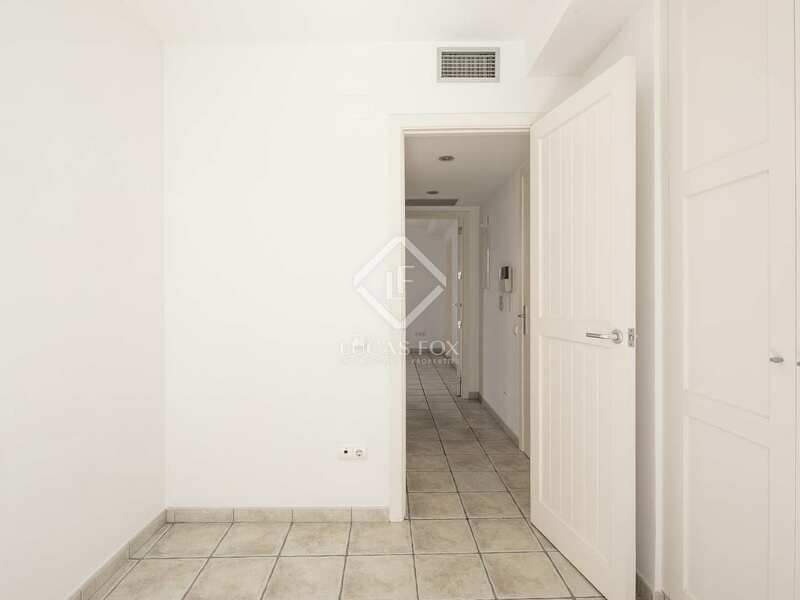 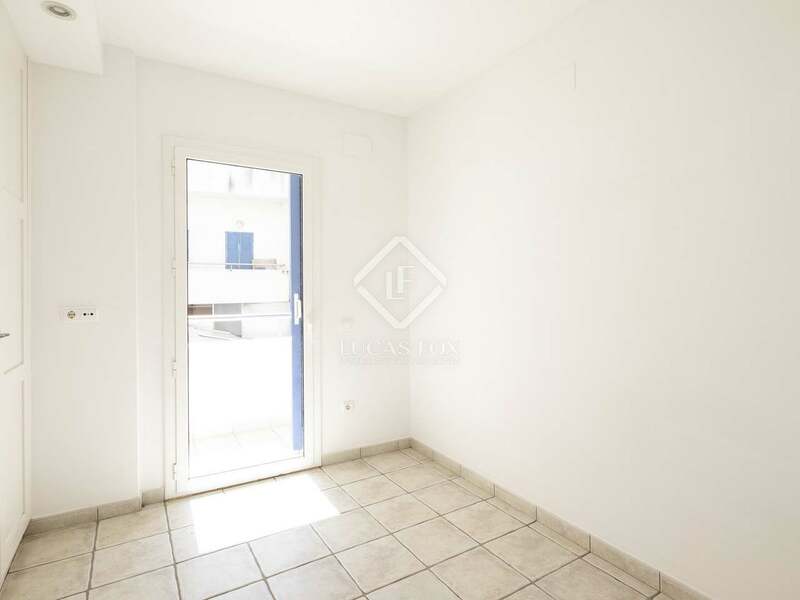 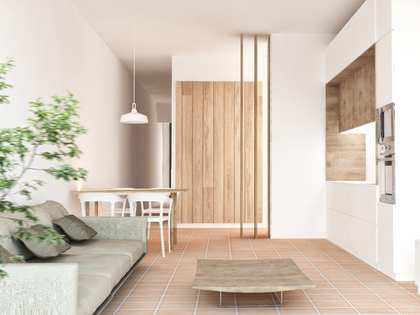 On a beautiful and peaceful historic street in the centre of Sitges, less than 50 metres from the beach and close to shops and restaurants, we find this great 2-bedroom property for sale on the first floor of a building with a lift. 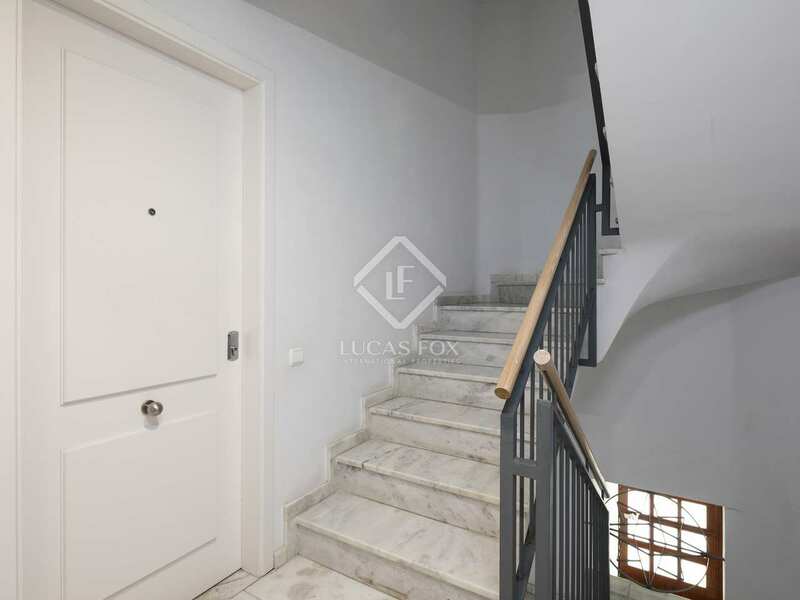 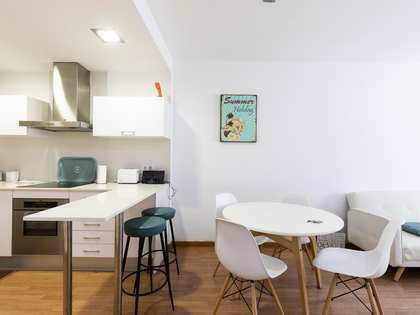 The apartment measures 75 m² and was built in 2001 in a style sympathetic to this historic part of Sitges, with a faithful copy of the listed façade. 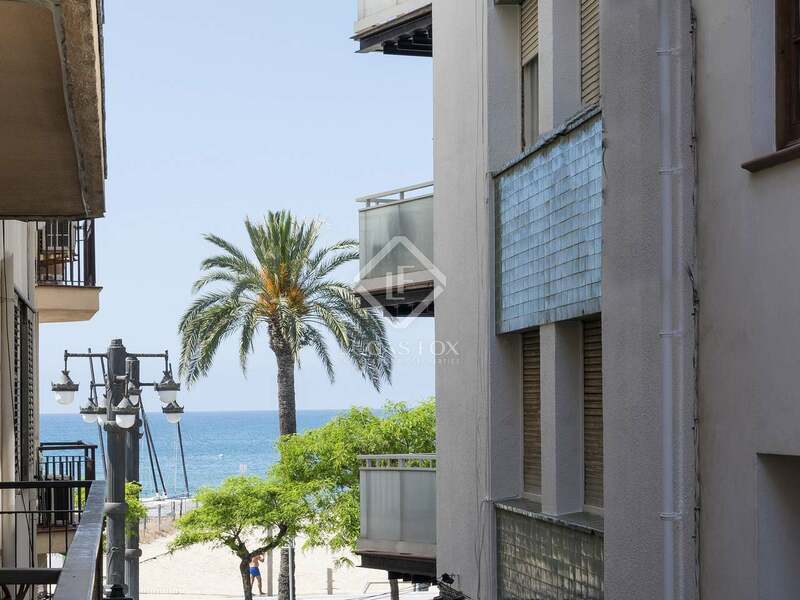 The apartment's entrance hall leads to a large living room to the right with balcony doors offering lovely lateral views of the sea to one side and the iconic street with pretty window boxes and flowers to the other. 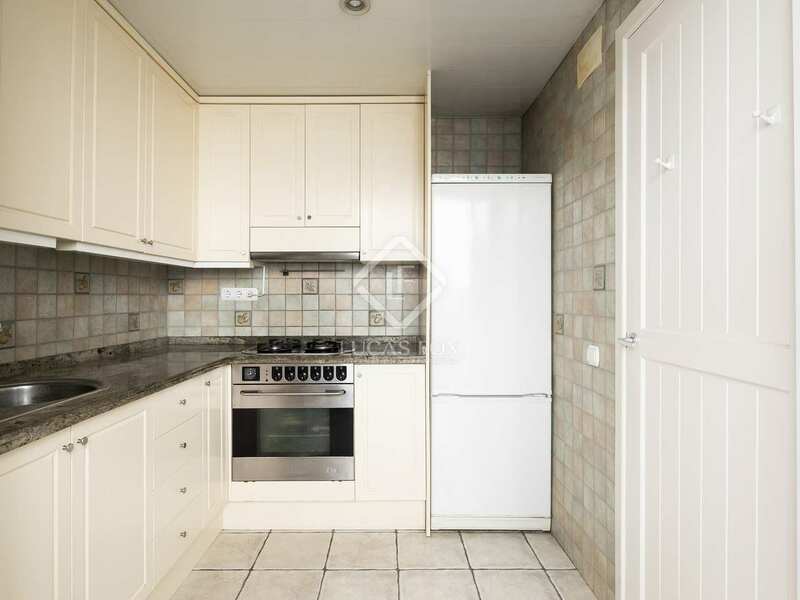 The attractive kitchen, complete with gas stove, is off the living area and also has a balcony. 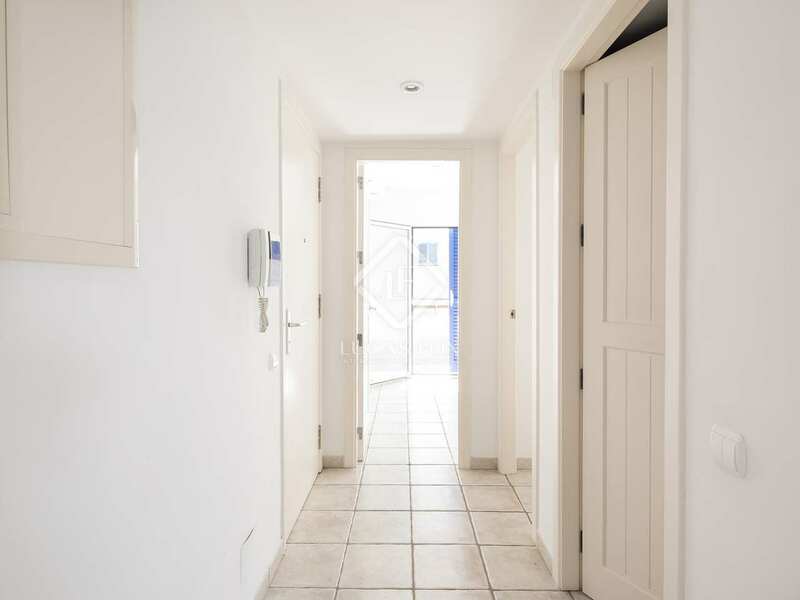 From the hall we can also access the guest bathroom with a shower, a bedroom with access to the rear terrace, and the master bedroom with its own private bathroom with a bathtub and access to the same rear terrace. This terrace overlooks a patio and gives access to a storage / laundry room with a washing machine/ tumble dryer. 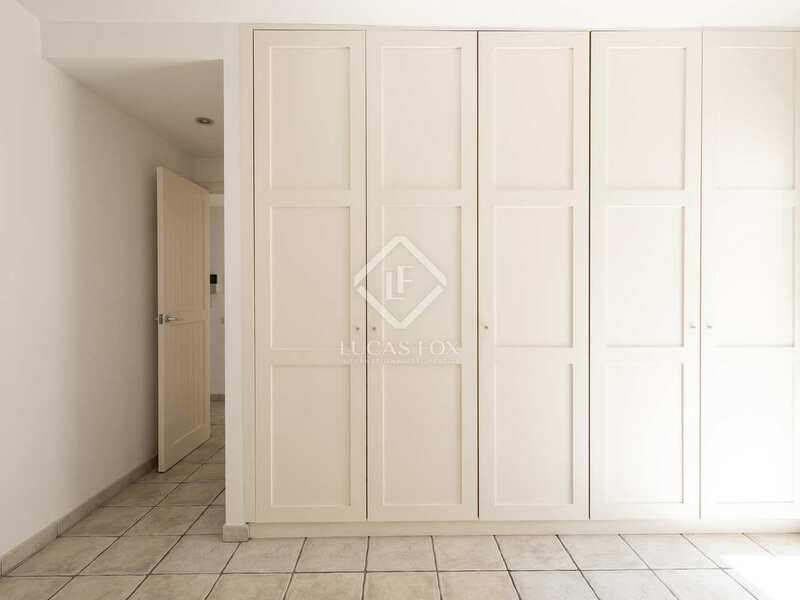 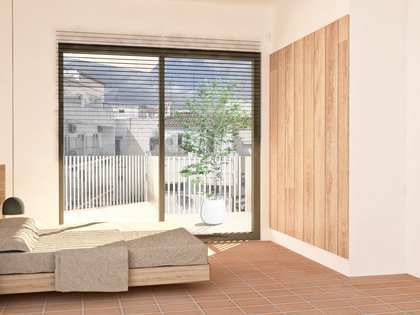 The two bedrooms have large fitted wardrobes and the property has a hot and cold central air conditioning system. 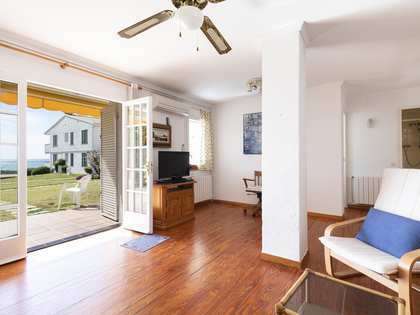 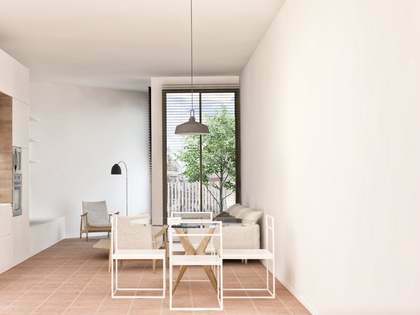 This peaceful, bright property would make an ideal holiday apartment or permanent home for a couple. 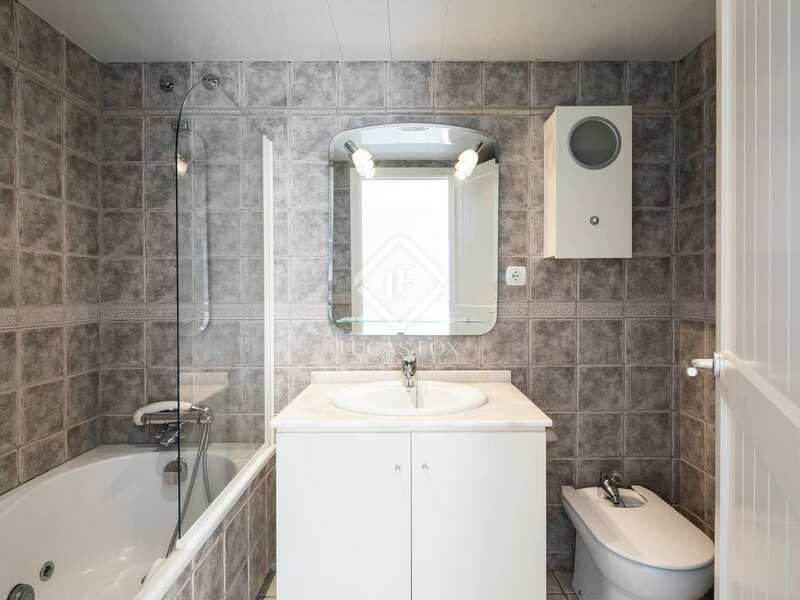 It would also be very easy to let as the location is unbeatable. Property located on a beautiful historic street in Sitges centre, less than 50 metres from the beach. 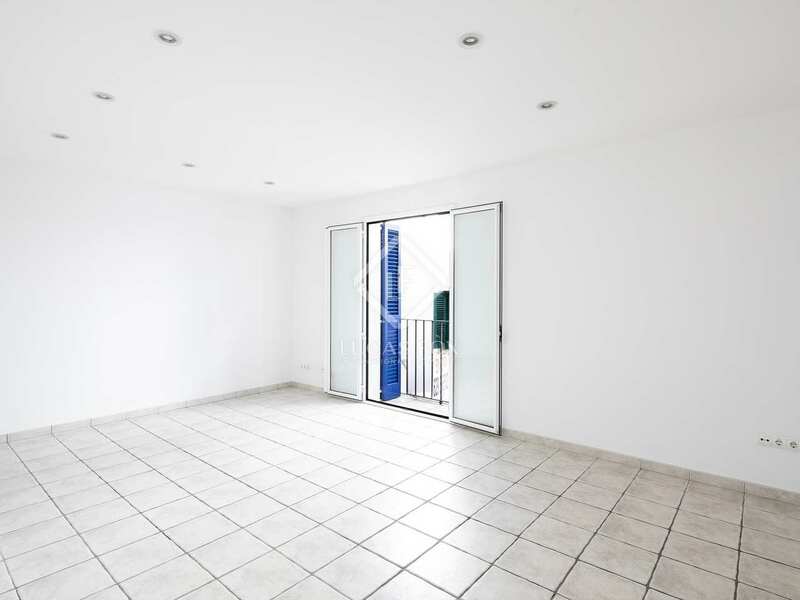 This is an unbeatable location close to shops, restaurants, bars, public transport, etc.